I was delighted to have a number of Conservative members of the House of Lords come to Hampstead and endorse and assist my campaign. Among them was Lord Trimble, former leader of the Ulster Unionist Party that won the Nobel Peace Prize (along with SDLP leader John Hume) for his work to end the Troubles in Northern Ireland. We all owe a huge debt to Lord Trimble for helping bring to an end a dark chapter in our country and islands’ history and playing an invaluable role in bringing about peace in Northern Ireland. I’m honoured to have his and his colleagues’ support. 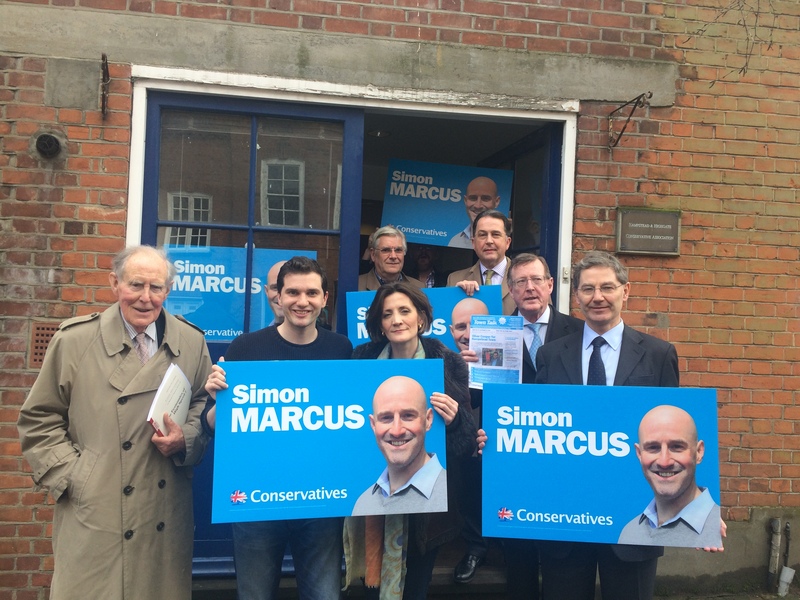 Oliver (second from the left) with, amongst others, Lord Trinble (second from the right, holding up Oliver’s leaflet).